As strange as it may sound, oils can be your savior when you suffer from oily skin or acne prone skin. Many essential oils are actually good for controlling excess facial oil by balancing your skin’s oil production. It has powerful antioxidant properties that can significantly improve the appearance of blemishes and scars. If you suffer from pimples or acne, then you may need to add a little anti-bacterial action to your skincare routine. Rosemary essential oil helps to balance oily skin and keeps whiteheads, blackheads, acne and other oily skin related problems away. Rose essential oil has one of the strongest anti-bacterial properties of all the essential oils. In 2010, Chinese researchers found that diluted rose essential oil killed the bacteria that cause acne in just five minutes. Its antioxidant properties may help reverse some of those telltale signs that we are getting older like blemishes, age spots, and wrinkles. Cedarwood oil is effective for tightening the facial skin and giving it a youthful appearance. Fennel oil fights free radical damage and provides antimicrobial activity against some strains of bacteria and pathogenic fungi. Lemon oil is astringent and detoxifying in nature, and its antiseptic properties help in treating pimples and various skin disorders. Lemon also reduces excess oil on the skin and it is awesome for hyperpigmentation. Chemical-free moisturizer: Mix 3-5 drops of eucalyptus oil with 1 tablespoon jojoba oil or sweet almond oil and massage into the skin. This helps to rejuvenate and soften the skin. Moisturizes the skin, and minimizes the appearance of acne. Enhances the luster of dull-looking skin and hair. As a result, it is extensively used in many skin care supplements that claim to improve the tone of your skin. Some closing words. Be careful when using essential oils while pregnant/nursing. Always consult your doctor before using any of the above oils if you are pregnant. Finally, always do a patch test with any oil before applying it on your skin. If the test shows no irritation and you decide to proceed with using oils for oily skin, use them mainly at night time for best results because this is when the skin repairs and rejuvenates itself. As always be safe and check with your healthcare provider before starting to use any oils or home remedies. I love to use essential oils for skin care. 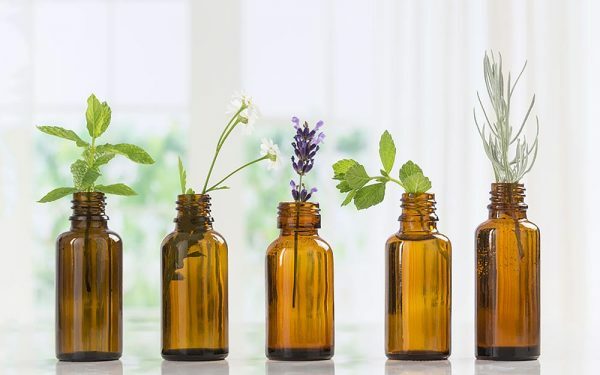 These are the best essential oils for skin. Thanks for the great article.